Trump wins; Sanders and Clinton split; what about her email? Republican primary voters preferred Donald Trump yesterday, whereas those voting for Democratic candidates split between Bernie Sanders and Hillary Clinton. Republican front-runner Donald Trump racked up primary wins in the big prize of Michigan as well as Mississippi and Hawaii on Tuesday, brushing off a week of blistering attacks from the party’s establishment and expanding his lead in the White House nominating race. In the Democratic contest, Bernie Sanders stunned front-runner Hillary Clinton in a narrow Michigan primary upset, giving his upstart campaign new energy. Clinton won in Mississippi, but Sanders’ victory is seen as likely to ensure a prolonged fight to pick a candidate for November’s general election. Trump’s convincing win in Michigan restored his outsider campaign’s momentum and increased the pressure on the party’s anti-Trump forces to find a way to stop the brash billionaire’s march to the nomination ahead of several key contests next week. The 69-year-old New Yorker built his victories in Michigan, in the heart of the industrial Midwest, and Mississippi in the Deep South with broad appeal across many demographics. He won evangelical Christians, Republicans, independents, those who wanted an outsider and those who said they were angry about how the federal government is working, according to exit polls. Trump said in several television interviews on Wednesday he was drawing new voters to the Republican Party and the establishment figures who are resisting his campaign should save their money and focus on beating the Democrats in November. “If this party came together… nobody could beat it,” Trump told NBC’s “Today” program. 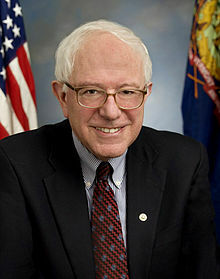 Vermont Senator Bernie Sanders scored a surprise victory in Tuesday’s Democratic primary in the northern state of Michigan, while Republican Donald Trump widened his lead with victories in Michigan, Mississippi and Hawaii. This is the strangest presidential primary cycle I have ever seen. Hillary Clinton has painted herself into a corner: The former secretary of state – who was trained to identify sensitive intelligence – now claims classified emails she composed and sent over her “home brew” server were not in violation of federal law. Judge Andrew Napolitano appeared on “Fox and Friends” Tuesday morning and said Clinton’s “word game” was finally exposed by Baier’s questioning. The Washington Post reported March 5 that Clinton wrote 104 emails that she sent using her private server while secretary of state. Well, Hillary Clinton as the head of the State Department should have known. This is more, in my view, than gross negligence, this was likely criminal. Many are concerned that Hillary Clinton may be indicted for this. She is currently under investigation by the Federal Bureau of Investigation (FBI). The FBI, aware of the politics of this, has moved relatively slowly, meaning that I feel if she was not this big in the political world, she would have at least been indicted. Yet despite the email matter, many believe she is likely to win the Democratic nomination and then become USA President. A couple of days ago, I saw something on the news that said Hillary Clinton had a 69% chance of becoming the next US President and Donald Trump had a 19% chance. That left 12% that was split almost evenly between Bernie Sanders, Marco Rubio, and Ted Cruz. Many people are frustrated with the status quo, which helps explain the success of Donald Trump and to a degree Bernie Sanders. Bernie Sanders is considered to be enough of a revolutionary, that Democrats are endorsing him (plus, Hillary Clinton has serious integrity problems that voters are concerned about–though she still gets lots of votes). On the Republican side, those voters dislike the status quo, in this instance meaning the Obama Administration and a Republican Congress that has not stopped aspects of Obama’s agenda, they really want change. About 2/3 of their primary voters tend to believe that outsiders are the answer (Donald Trump and Ted Cruz are both considered to be outsiders). The other 1/3 of Republican primary voters want change as well, but tend to feel that more establishment accepted candidates are more likely to win in November as well as to more effectively govern (John Kasich and Marco Rubio are both considered to be establishment candidates). Of course, despite the election results so far on the Republican side, we could still see a battle in November between Hillary Clinton and one of the establishment Republicans. A ‘contested convention’ has been suggested to try to stop Donald Trump. So much for democracy in the USA. Last month someone sent me a link to an NPR article laying out five similarities between Donald Trump and Bernie Sanders. Here are five ways the candidates sound similar. I am angry and the American people are angry. And I can say oh I’m not angry … I am very angry because our country is being run horribly and I will gladly accept the mantle of anger. I am very proud to be the only candidate up here who does not have a superPAC, who is not raising huge sums of money from Wall Street or special interests. I don’t want their money, I’m gonna do the right thing for the American public. I don’t want their money, I don’t need their money and I’m the only one up here that can say that. We need to rebuild our crumbling infrastructure, invest $1 trillion in our roads and our bridges and our rail system. Nov. 29, 2015, remarks at the Jefferson-Jackson Dinner in Manchester, N.H.
We have infrastructure that we have to fix, we have bridges and roads and tunnels and everything’s falling apart. We need trade policies that are fair for the American worker, fair for poor people around the world, and not just designed to make the CEOs of multinational corporations even richer than they are today. Jan. 2 in Worcester, Mass. We need fair trade, not free trade. We need fair trade. It’s gotta be fair. And while many Republicans talk about privatizing Social Security, and some Democrats have looked at changing the way cost of living is adjusted, Sanders and Trump like it just the way it is or want to make Social Security even more generous. What we must do is say, of course we’re not going to cut Social Security but we are going to expand Social Security benefits. We’re not gonna cut your Social Security and we’re not cutting your Medicare. We’re gonna take jobs back from all these countries that are ripping us off. We’re going to become a wealthy country again we’re going to be able to save your Social Security. Perhaps I should add here that one report I read (about 5-6 weeks ago) said that Donald Trump is the second choice for many of Bernie Sander’s supporters. Many people are turning to ‘outsiders’ because they recognize that something is terribly wrong with the direction of the USA. Yet, the answer is not Donald Trump nor Bernie Sanders. The answer is national repentance, which is something neither of those candidates has spoken about. National repentance and prayer is what the USA needs or it is biblically-doomed (cf. Habakkuk 2:6-8; Daniel 11:39). The same holds true for its Anglo-Saxon descended allies such as the UK, Canada, Australia, and New Zealand. It should be clear that Isaiah prophesied that there would be end time leaders that cause people to err. This is what many politicians, directly and indirectly do. While it is true, that like the King of Ninevah (Jonah 3:5-6), political leaders could call for national repentance after enough people begin a fast, the reality is that this simply is not something that many of them ever seriously consider, let alone do. It seems that this will not happen (unless perhaps after the prophesied destruction). We are seeing many running for office that do not have godly character. And God will take steps to put in office whosoever He feels should lead the USA. By voting, one could be voting against God’s will. God’s people do not want to be found fighting against God (Acts 5:39). Once, in the 1970s, I actually voted in an election. But for some reason, I decided not to vote for attorney general. If I would have voted for the office, I probably would have voted for the man that won–a man that later had a massive lawsuit against the Church of God I was part of in the late 1970s. Obviously, I would not have done that on purpose, but am glad that I did not accidentally assist in empowering one who was against the COG. Therefore I exhort first of all that supplications, prayers, intercessions, and giving of thanks be made for all men, for kings and all who are in authority, that we may lead a quiet and peaceable life in all godliness and reverence. For this is good and acceptable in the sight of God our Savior (1 Tim 2:1-3). Notice that we are to pray for worldly leaders and those that have authority over us so that we may lead a quiet and peaceful life. Nothing like this is said for voting that many falsely claim is their “Christian” duty–prayer for leaders is. Those who believe that Bernie Sanders or Donald Trump or Hillary Clinton can save the USA are misleading themselves and overlooking a lot of what the Bible teaches. Their moral views are not consistent with what the Bible teaches. The USA needs national repentance and the Kingdom of God. Let me also add that, irrespective of who becomes the next president, by virtue of timing, that leader will be in a sense, apocalyptic. Meaning that steps will be taken that will lead to the end of the USA by the next president. This entry was posted on Wednesday, March 9th, 2016 at 8:00 am	and is filed under Prophecy. Were Barack Obama’s comments possibly intended to help Donald Trump? AP: Clinton and Sanders clash over presidential qualifications; Is either ‘qualified’?